Joe heard the commotion in his room and came into his mother’s study. It was the best-furnished room in the apartment, with a large oak desk, a couch and coffee table, and two telephones. An antique engraved print by Piranesi hung on one wall, a view of the Roman Forum. Every horizontal surface was covered with papers. Smoke swirled around the desk lamp. “What’s wrong, Mom? I know that much German.” He crossed the room and opened the window. “Can I help?” It was an automatic thing for him to say. Almost immediately, he thought it sounded stupid. Joe read the letter. It was typewritten on fine paper, with the letterhead of the Del Piave Group. Joe recognized the stuffy Italian of text books, government documents and posters. Joe felt a rush. “How much?” Nancy arched an eyebrow, looking at the red rising on his neck. “OK.” He took the letter from her and sat at the coffee table with a pad and a pencil. Sleeping was tough that night. Joe tossed and day-dreamed of pacing in a big office like his mother’s, dictating English correspondence to a stenographer. Businessmen from all over Italy would ask him to translate their letters into English so they could make deals in America. The next day, Nancy was humming an aria from Così Fan Tutte when Joe dragged into the kitchen. She choked off Mozart in the middle of the measure. “You don’t look so hot,” she said. She put the Moka coffee maker on the stove, while he cut some hard-crusted pane casareccio bread and put it out with some jam. They ate an Italian breakfast normally, bread or pastry and caffélatte, coffee with milk. A big American breakfast would take too long and require too much cleaning up. “Yes, ma’am.” She’s really into a corner on this, he thought. By eight o’clock they were leaving together. Joe pushed his bike to the bus stop, where his mother waited for the No. 96 bus downtown. Several neighbors who also worked in the business district were already there. Joe acknowledged their greetings and mounted his bike. He rode slowly to the corner, until he was just out of sight of the bus stop. 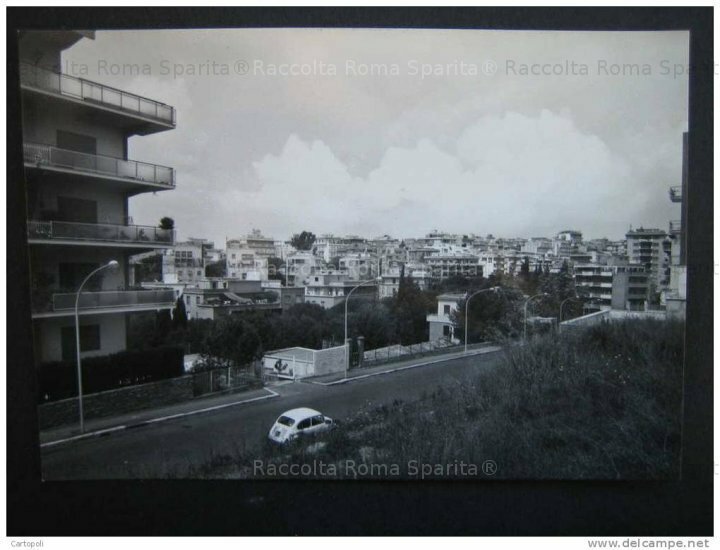 Then he turned left onto the Viale delle Medaglie d’Oro, a relatively new street, with smooth asphalt, and tall Mediterranean pines on either side. He hunched down on the handle bars and let the Monte Mario push him a mile downhill in the cool morning air. Traffic was light, and these streets were too steep for trolley tracks. There were plenty of those at the bottom, waiting to grab his thin tires and throw him over the handlebars, but not here. 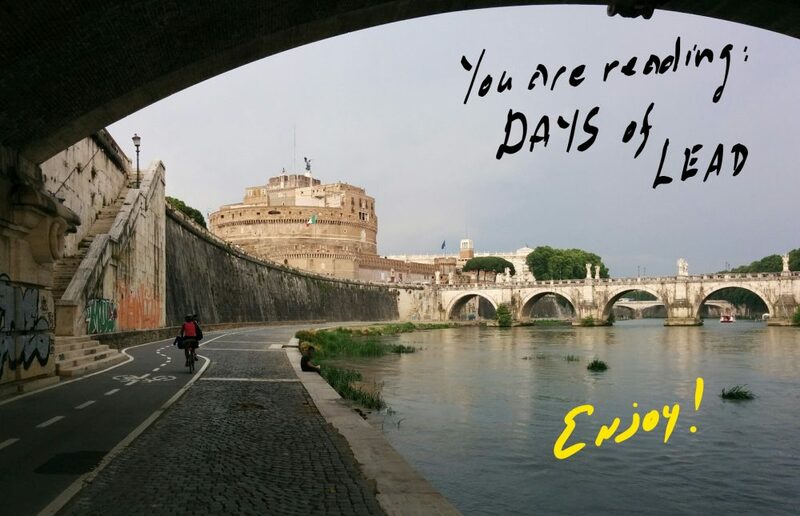 In less than two minutes, he cleared the yellow light at Piazzale degli Eroi, and turned right for the long, gentle climb to his high school at the edge of the Eternal City. Most days, that downhill rush made riding four miles to school each way worth it. “Buon giorno, Dottoressa.” The secretary rose and held the door to Nancy’s office at the corporate offices of Smithson Italia. She was as tall as Nancy, which was unusual for an Italian, with the strawberry blond hair and blue eyes found among northerners. Only the cadence of her flawless Italian let on that she was Roman, born and raised. Nancy loved to hear her contralto voice, especially after a day of conferences or phone calls with plant managers from Milan, Germany, Paris or Manchester. The secretary wore a simple silk dress, looking like a fashion poster. Nancy chuckled. She did not know if her secretary was referring to the other clerical staff or the management, but it did not matter. They were the only two women on the entire floor, or maybe the whole building. Nancy had surprised everyone at Smithson Italia when she arrived by hiring Maria Grazia and by not bringing a personal assistant with her. She explained to Joe that the secretaries already at Smithson Italia were all handsome men, and she did not need any more gossip than she was already causing as a female executive. There might have been resentment if Maria Grazia were not so popular with the clerical staff. They admired and respected her. Nancy opened her briefcase on her desk and took out the letter that Joe had written out. Maria Grazia took it and paused, looking at it. “I have always been willing to do these for you.” Worry lay beneath her expression. “Read. Then tell me what you think.” Nancy waited while Maria Grazia read the whole letter. Nancy unpacked her papers and checked her calendar. Mercifully, she did not have any meetings in the morning, and it was too early for the phone calls to start coming in from the United States or England. The people from Richmond were probably circling the new Fiumicino International Airport. They would not be here for at least two hours. She walked downstairs to the Bar La Bella for an espresso. Through the window of the café, she noticed Jack Arland, the new vice-president from New York, and Sandro Moretti, the company president, crossing the street together. After chatting with the Comptroller at the counter of the bar, she walked back up to her office. Maria Grazia had left the typed-up letter on her desk. Nancy picked it up and read it again on her way down the hall. She paused at the door marked “Strategy and Investment” and walked in. “Buon giorno, dottoressa.” The man at the desk rose and smiled. Tall, slender and fit, his brilliant and perfectly straight teeth owed more to the mineral content of Roman water than any dental intervention. His jet-black hair tended to curliness, but he kept it groomed back. “Thank you,” she said, as Giacomo knocked once and opened the door for her. Jack Arland was looking out the window. He whirled around and broke out into a beaming smile. His suit set off his green-hazel eyes. “Nancy! What a great way to start the day – with you to bring sunshine into my dark hovel.” His tendency to self-effacement contrasted with his athletic good looks. His blond hair, which had been crew cut when he arrived in August, was growing out, but it would be another month or more before anyone could do anything with it except put a hat on it. At least he had a new wardrobe of tailored suits, so he did not look like an extra in a movie about the FBI. Nancy had ribbed him early on about New York fashion – or the lack thereof. “Hi, Jack. Easy on the charm,” she said, with a smile. She walked to his desk before he could come around, effectively putting the furniture between them. Jack laughed, undeterred. “I’m thinking of giving him a couple more letters as they come in to see how he does. I wonder if there’s an issue because he’s my son.” She gazed out the window as if in thought. She reached over the desk and gave him a light tap on the cheek and smiled. “Thanks, Jack.” With that, she whirled gracefully around and slid out the door. The tap left both of them wondering why she did that. She stopped at the President’s office on the way back to her own. Moretti’s reaction was enthusiastic. He had been embarrassed to have Nancy translating the correspondence on the Aprilia plant project, but she had insisted on not using Italian staff for these letters. She decided that she did not need to test Joe any further. “The gentlemen from Richmond will be here at eleven, signora,” Maria Grazia said as Nancy walked in. Nancy stopped in her tracks. “Who scheduled that? It’s almost lunchtime.” Lunch was the main meal of the day, and most of the Italian staff went home to their families for the meal. Nancy smiled. “Of course.” She gave Maria Grazia the letter from del Piave. They shared a laugh as Nancy went into her office. Nancy came home that night with the usual load of papers in her briefcase. Angela had fixed a lasagna before going home. Joe was assembling a salad. He had set the table in the kitchen. When it was only the two of them, they preferred to eat in the kitchen. It made cleaning up easier. Angela often reminded them that she could do the dishes in the mornings, but neither Joe nor Nancy liked having a mess in the kitchen. “How much homework do you have?” she called from her study. Joe heard the heavy briefcase hit the coffee table. He dried his hands and came out of the kitchen. “Good. Here’s a pair of letters to write out.” She gave him the letters and picked up the pack of cigarettes on her desk. She caught Joe’s look and put them in the desk drawer. Joe sat at the coffee table with a large pad and a pencil as he scanned the letters. Nancy unloaded the other papers from her briefcase and organized them on her desk. “That’s uncivilized,” Joe said, with a grin. “Damn right.” They went to the kitchen. Over supper, Joe answered questions about his day, and Nancy complained with good humor about the bigwigs from Richmond, Virginia, where the Smithson Group had its world headquarters. After cleaning up the dishes and putting away the leftover lasagna, they returned to Nancy’s study. Joe sat at the coffee table again and began writing. Nancy worked at her desk. Twice, she opened her desk drawer for her cigarettes, tossed the pack back, and closed the drawer. After the niceties in both letters, Joe ran into ordinary words used in strange ways. He got the thick Italian-English dictionary from his room. The words were all there, but something was not right. “You need a specialized dictionary. We have a glossary of terms at the office. Meanwhile, this is fine, because I know what he meant.” She took a blue pencil from the caddy on her desk, corrected the technical terms and gave him the paper back. The next day, Brother Mark came down from the school office during lunch with a message for Joe from his mother. “Be home by 4 p.m. Must go to bank together.” He thanked the monk and went to find Mr. Santoro, the English teacher, to tell him he would be missing the school yearbook meeting. It took some hard riding, but he locked his bike below the apartment building at 3:55. Nancy was waiting in the lobby of their apartment building. “Hi, Mom, what’s the rush?” Under his suit, his shirt and undershirt were soaked with sweat. He took off his jacket to start drying off. “Let’s walk over to the Cavalieri Hilton,” she said. “We have to open the bank account together. I figure the most convenient place to open an account is the Banca Nazionale del Lavoro branch in the Hotel, which closes at 4:30. Is that OK with you?” The new Hilton was Rome’s first big American hotel. An imposing structure of glass and brick, it overlooked the city from the top of the Monte Mario. It was also right across the street from the Mathers’ apartment building. “What about other money, like the job at the Goldoni?” Joe almost always spent all the money he made selling snacks at the concession stand at the Goldoni Theatre. He could start putting some of it away and keep the money out of his pocket. Twenty minutes later, Joe had a passbook with his name on it, and more money in his account than he had made in two years at the Goldoni Theater. A month later, working the letters from del Piave had become routine. Nancy would bring one or two home every week, which was not so much that it interfered with his school work or extracurricular activities. At the end of each month, Smithson Italia would send Joe a check for all the work that month, usually a thousand lire, or $1.60, per page.